Whether you're replacing a winch or putting a winch on a newly-built boat trailer, choosing the size of winch that's right for your boat and trailer can make a substantial difference in how your day at the boat ramp goes. An undersized winch can leave you struggling to power onto your trailer without damaging boat or trailer, and an oversized winch might be good someday, but for now, it's a waste of money you could spend adding essentials to your boat. Boating should be fun, not stressful; the right winch can help. Calculate a "curb weight" for the trailer, motor and boat. This information is usually available in the manual for your boat, the manual for your motor and the manual for your trailer. Use the calculator to add the weight of those three items: boat (2,500 pounds) + motor (460 pounds) + trailer (920 pounds) = 3,880 pounds. Add the weight of the trailer, the boat, the motor and the gear: 3,880 pounds + 112.5 pounds = 3,992.5 pounds. Divide the total weight by two: 3,992.5 / 2 = 1,996.25 pounds. Based on Casey's recommendation, this is the minimum size winch you should have on your trailer. 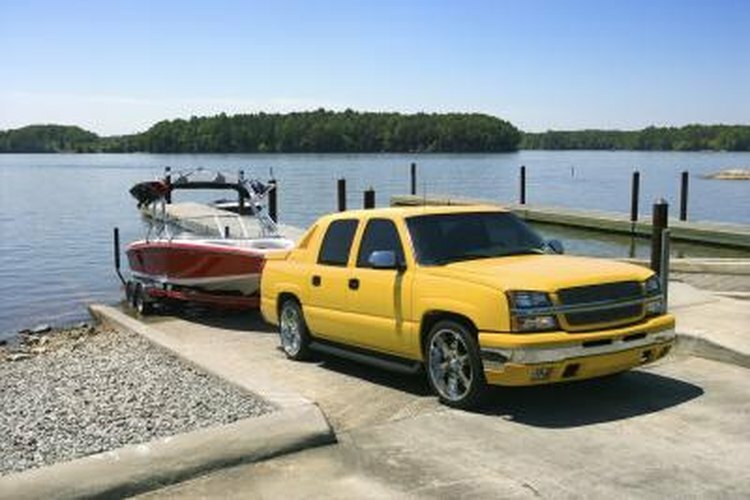 An accurate weight of trailer, gear and boat can be obtained from a truck stop that has a truck scale for just a few dollars. Load your boat with the gear, load the boat onto its trailer (unless it's there already) and tie the boat down before heading to the scale. Don't depend on your winch to keep your boat on your trailer: use tie down straps. Depending on your winch alone is a sure recipe for some not-so-funny slapstick.